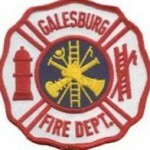 The number of calls the Galesburg Fire Department responds to increases each year while the number of firefighters keeps going down. 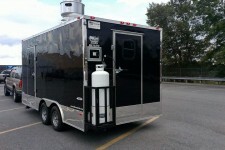 Boss Food Truck was started last summer as a mobile food station serving the bar crowd in Macomb. The 205 Board of Education has named the successor to resigning board member Rick Welty. It’s a been a chilly winter at the Knox County Courthouse. 522 overall wins, 14 Invitational tournament championships and a second place Class A State Tournament finish in 1976–those are just a few of the accolades of last night’s guest of honor at ROWVA High School. Local band Even Steven provided the musical entertainment for Pizza House’s 61st anniversary party yesterday. Discovery Depot Executive Director Denise Bradburn told the Galesburg Tourism Council today that the children’s museum has raised nearly 60 percent of a $1.5 million capital campaign to expand and renovate the building. The likelihood of structure fires tends to increase as temperatures drop. Although the finalizing votes on district wide budget cuts didn’t take place last night as was originally planned there were two major discussion items that revolved around those cuts. Galesburg city crews are continuing to repair a “large” water main break on the 2000 block of Windish Dr., but the problem should be fixed by later today.